How do I buy a For Sale By Owner Car? Many people consider a FSBO (For Sale By Owner) vehicle because they can often save hundreds–if not thousands–of dollars off a similarly equipped used car from a car dealership. 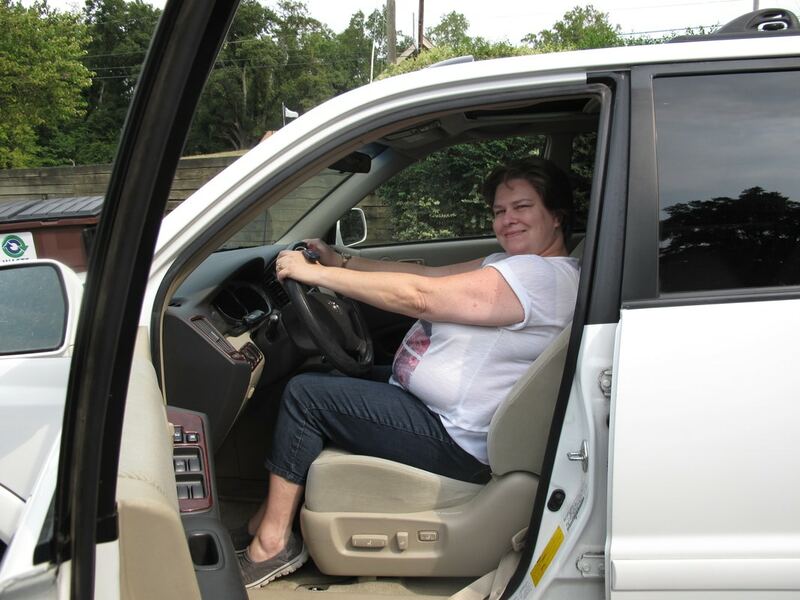 In this article, we follow the seven easy steps to purchase a For Sale By Owner vehicle as demonstrated by Melinda Everett, WHCNP of Chapel Hill, OB/GYN the INDY Best of Triangle Women’s Health Care Practitioner from North Carolina. Step 1: Find the perfect For Sale By Owner car, truck, or SUV to meet your needs. 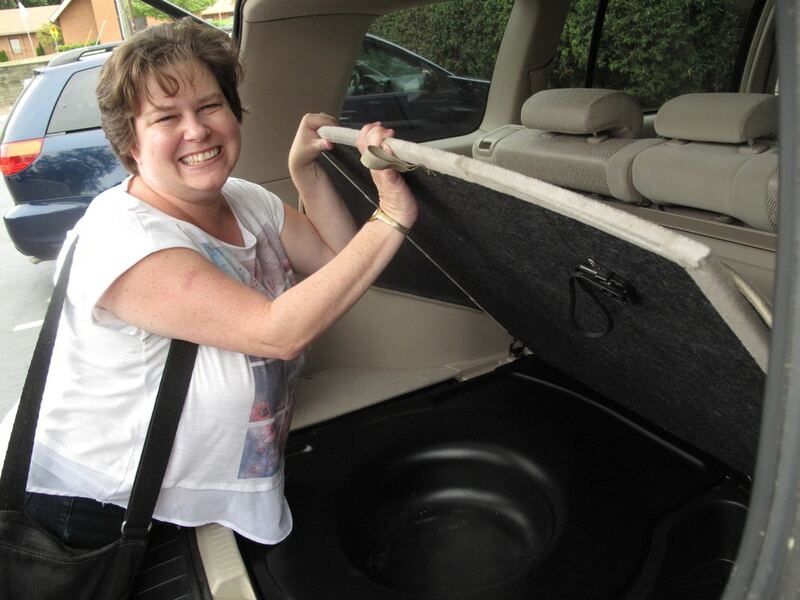 In this case, Melinda found one using Car Pal’s Car Buying Concierge Service, but if you prefer, you can do it on your own. Step 2: After you perform thorough due diligence on the vehicle (in Melinda’s case, this included using Car Pal’s services, but that is by no means a requirement — also a mechanic’s inspection is always advised! ), arrange to meet in person with the seller at a neutral location. A bank is ideal, because when you are working within a limited timeframe (don’t we all have that situation? ), it will be easy to go ahead and make the purchase if the vehicle checks out. 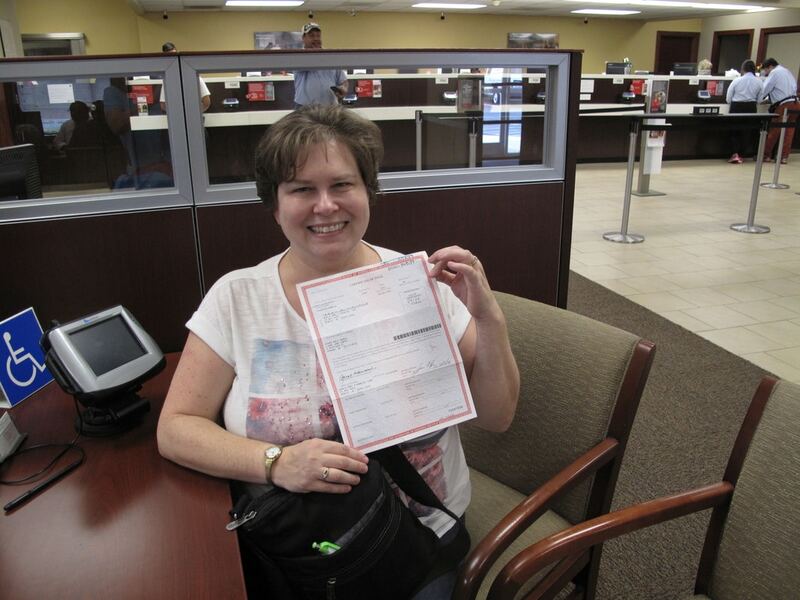 A bank is an ideal location to notarize paperwork and exchange money for title. At that time, make a test drive and a thorough walk around. Be sure to check that the spare tire is there while you’re at it! 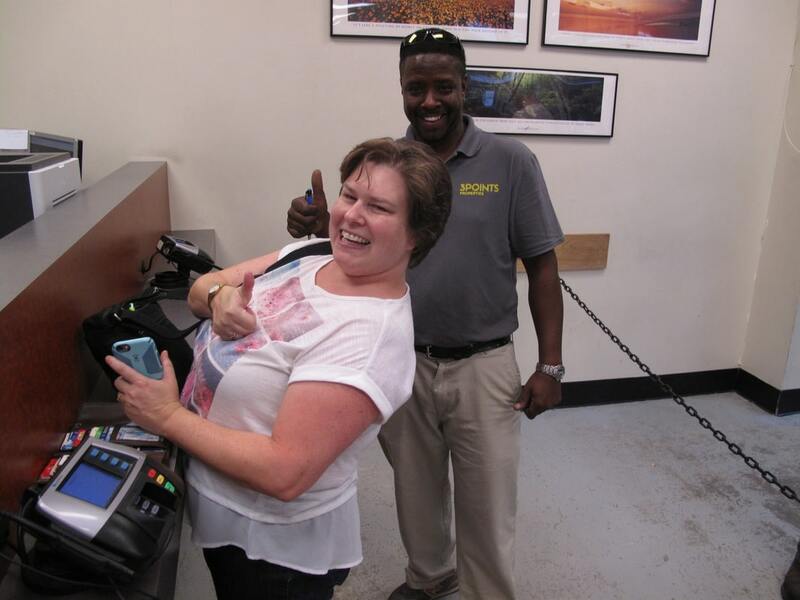 Step 3: Once you are satisfied that the vehicle meets all of your expectations, you are ready to sign for it. 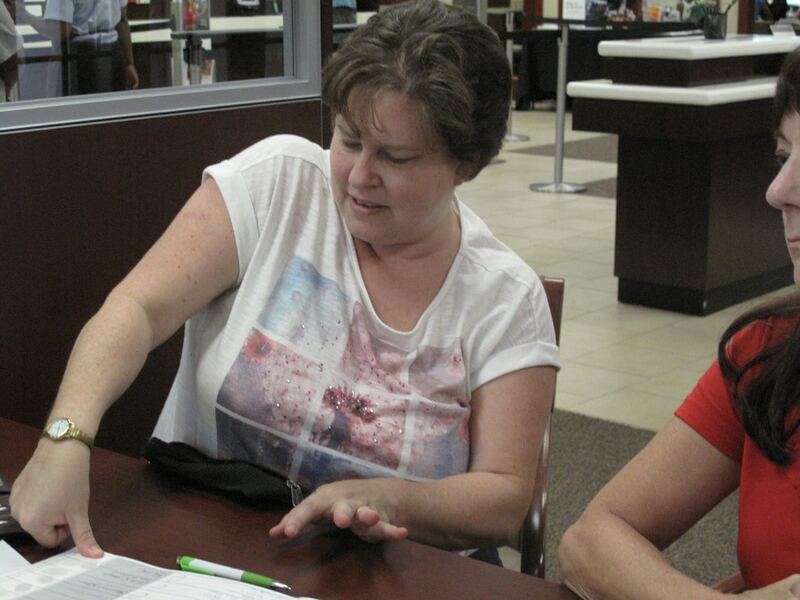 It is time to go inside the bank to sign and notarize a bill of sale and the title. Here Melinda provides her finger print as proof of identity. Step 4: Receive your title! 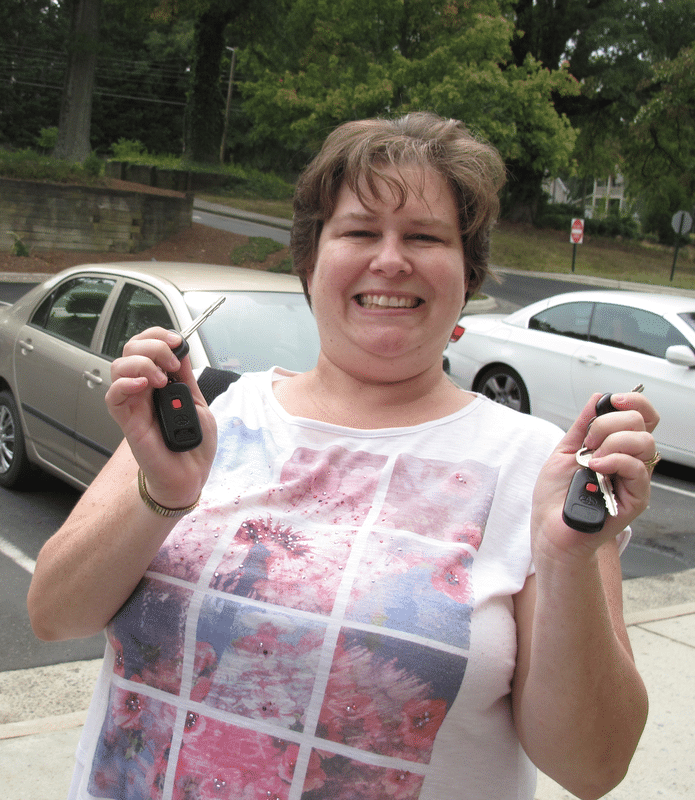 Step 5: Receive your keys! Two sets of keys are not guaranteed, but they are ideal and are indicative of a meticulous prior owner… which is always a good thing! You are almost done! 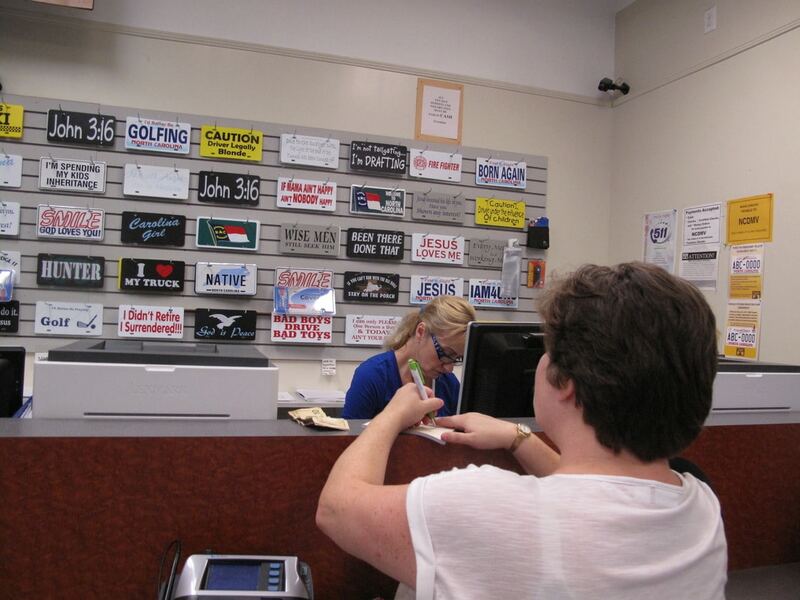 Now follow Melinda and Car Pal to the DMV! 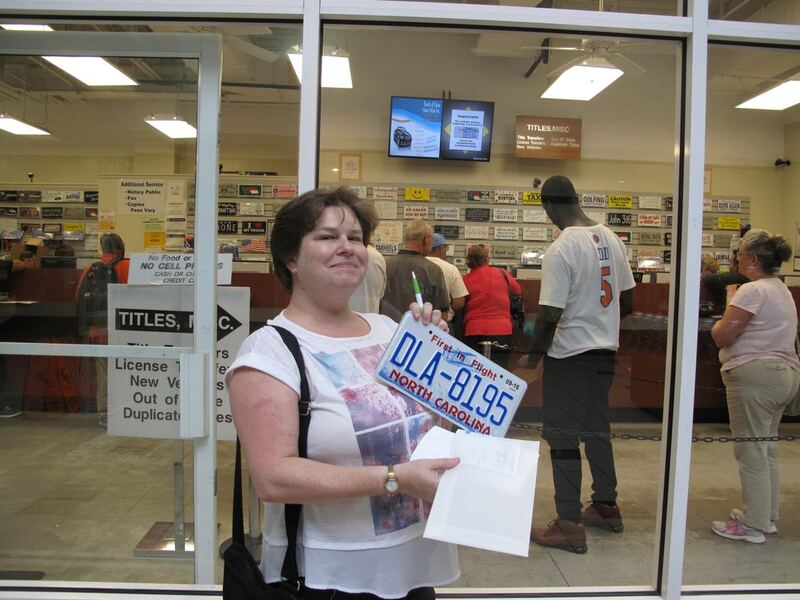 Step 6: Register your vehicle with yourself as the new owner. This is an easy process. Write a check for your state and local taxes, and entertain others in line while you do so with a joyous spirit! “brand new to you” vehicle in less than two hours!